Ranching in Spotlight Growing Disconnect | RANGEfire! According to Oregon rancher, Keith Nantz, here’s what most people don’t understand: The Obama Administration has pushed the Western ranching industry to the brink. The Ammon Bundy-led seizure of a federal wildlife refuge thrust Oregon’s ranchers into the spotlight. Being a rancher was always challenging. And it has become increasingly difficult under the Obama administration. Most of the time, those regulations are written by people with no agriculture experience, and little understanding of what it takes to produce our nation’s food. . . These decisions are being made by people who are four to five generations removed from food production. My name is Keith Nantz. I’m an Oregon rancher. I grew up in a ranching community in northeast Oregon. Even as a kid, I knew I wanted to be a rancher. After eight years as a firefighter, I’d saved enough to start my own business. 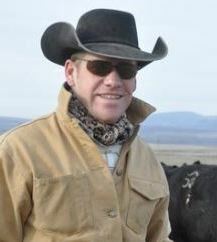 I wanted to work on the land, raising delicious, wholesome beef for our growing population. Money isn’t the only challenge. 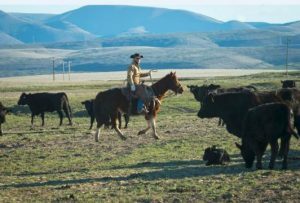 Raising cattle requires a lot of land, much more than most ranchers can afford to own outright. I lease about a third of the space I use from private owners. But most ranchers aren’t so lucky. The federal government controls a huge amount of land in the west (more than 50 percent in some states, like Oregon), and many ranchers must [utilize] that space to create a sustainable operation. The Ammon Bundy-led seizure of a federal wildlife refuge thrust Oregon’s ranchers into the spotlight. While I don’t agree with the occupiers’ tactics, I sympathize with their position. Being a rancher was always challenging. And it has become increasingly difficult under the Obama administration. I saw this play out firsthand when the federal government considered listing the sage grouse, a chicken-like bird, as endangered. That regulation would have shrunk the amount of land where ranchers could graze cattle, putting many out of business and decimating the industry. To avoid this, ranchers like myself and local officials spent months meeting with federal officials looking for compromise. We ultimately found [some degree of] middle ground. But we already have an enormous workload in our daily lives. The pressure of having to drop everything to lobby against a rule (which happens more often than you’d think) is a tremendous burden.